The Villalobos Rescue Center is the largest pit bull rescue in the USA, now located in New Orleans, LA. This show shows the interaction of the dog and man; About pets and people that no one wants. A request for help turns tragic when Tia and her daughter Mariah reach out to help a man care for two dogs he rescued. Then, a voluteer at Villalobos steps up to adopt a dog with an unusual past. Dr. Oakley is the only vet in her area of the Yukon. She treats domestic pets, endangered wildlife, farm animals--basically anything that walks on fours, crawls, flies. All of that- plus she's a wife and a mom of three girls. Amanda Giese treats seemingly hopeless animals in need of a second chance, primarily focusing on dogs that others have given up on. Tia Torres: My name is Tia Maria Torres and I know about second chances. I run a sanctuary for over 300 pit bulls... The world's most misunderstood breed of dog. And it's for parolees the guys I hire because nobody else will. I'm not fighting the battle alone. My family shares my passion. In the City of Second Chances my mission is to rescue... My hope is that one day I won't have to. 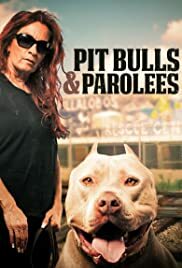 I love Pitbulls and parolees. I laugh, cry, pray, etc. while watching. I would love to meet Tia someday. She is an amazing woman. We have a boxer and boxer Pittbull mix. Our pit is deaf but so much fun. And very vocal.lol. I learn a lot from the show. I look forward to seeing the new episodes.